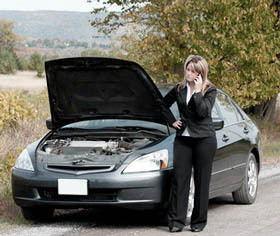 JK Automotive now offers free 24-hour roadside assistance and it’s easy to get started! You will automatically be enrolled in this free 12-month program just by spending a minimum of $25.00 with us. We are very excited to have the ability to offer you access to this incredibly beneficial program. Whether you’ve got a flat tire, run out of gas, or locked your keys in the car, being stranded on the side of the road can be very frustrating and stressful. With this free service available to you, you will have peace of mind knowing immediate roadside assistance is only a phone call away. This program not only includes free towing service but also includes free key lockout service, flat tire changing assistance, fuel and oil delivery service along with jump start service. Continue your travels with ease knowing you always have a trusted travel companion in your free roadside assistance program. 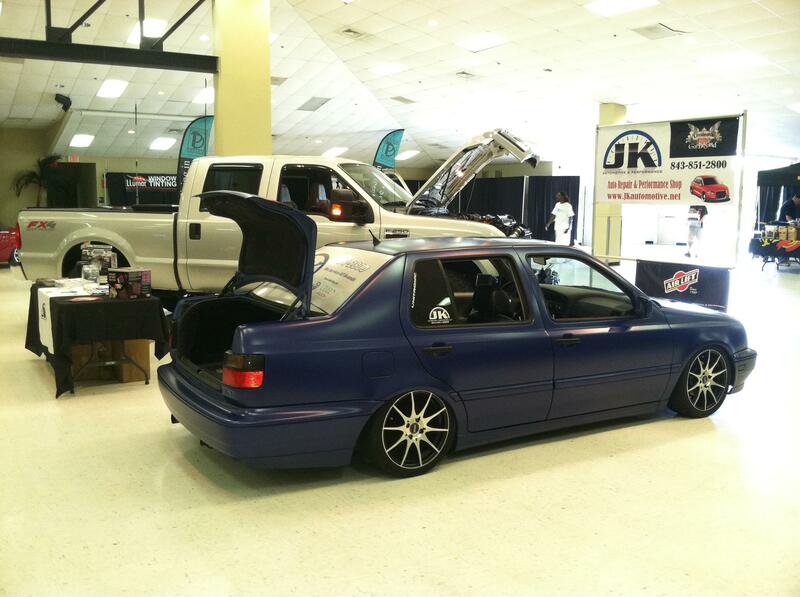 We are proud to be a sponsor of the 1st annual Charleston AutoExpo being held on Sunday, September 25, 2011, from 12-noon to 5:00pm, at the Omar Shrine Temple in Mt. Pleasant. We would love to have you come out and support J & K Automotive as we support the many local vendors who will be part of this great event! There will be much to enjoy both inside and outside the facility. A wide variety of things to see and do are planned! Demonstrations in wheel Repair, upholstery repair, paintless dent repair, vinyl wraps, window tinting, and paint touch up, just to name a few. There will be vendors, sponsors, and car enthusiasts alike will all be in attendance. Don’t miss the meets for car clubs and look over all the restorations and modifications up close! There’s something of interest to everyone so come on out, bring the whole family, and be sure to stop by our booth. Admission is just 5 bucks and includes a free goodie bag PLUS an automatic entry into the drawing for thousands of dollars in FREE PRODUCTS!! A new car owner might not be familiar with what a Car Maintenance Schedule is or knowledgeable about what is recommended by their automobile manufacturer’s Car Maintenance & Service Schedule. 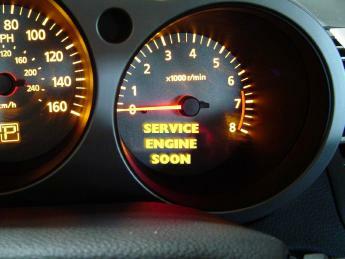 Many new car owners are also misinformed about who can perform the scheduled maintenance and services. They may be under the impression that they must take their car back to the place of purchase or to a dealer of the car’s manufacturer. This could not be further from the truth. 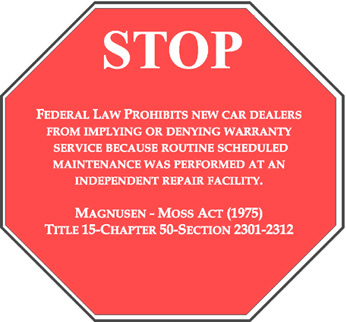 As a matter of fact, the law protects you from being forced to take your car to the dealer for routine scheduled maintenance work. Whether you own a Toyota, a Honda, a Ford, or a VW, your car has a manufacturer’s automotive maintenance schedule and recommendations as to what has to be done at each mileage milestone. Your vehicle needs to be serviced at regular intervals as scheduled maintenance is essential to keeping your car road worthy. The scheduled services will save you time and money in the long run by keeping your car from breaking down when you aren’t expecting it. JK Automotive can provide you with a maintenance service schedule that will keep your vehicle running longer and healthier. Car Maintenance schedules are usually referred to as your car’s regular maintenance schedule. These are checks and services that need to be done every 3 months, every 6 months, and every 12 months. Every three months, or 3,000 – 5,000 miles there are things like oil changes that need to be done as well as coolant, power steering, and brake fluid levels to check. At six months, or 6,000-10,000 miles, in addition to everything in the 3 month schedule, you need to rotate your car’s tires, do a tire depth check, inspect the brakes, check the spark plug wires, and replace the wiper blades. At 12 months, or around 15,000 – 20,000 miles, it’s time to replace the air filter and balance the tires. In addition to all of the above 3 and 6 month maintenance procedures, it’s time to service the battery, check the A/C & heater operation and, if equipped, replace the A/C pollen filter. You may also have heard of the Manufacturer’s Recommended Service & Maintenance Schedule. This schedule lists things that need to be done over longer periods of time but are just as vital to your car’s maintenance. For example at 40,000 miles one of my customer’s Volkswagen Jetta requires all of the 1 year maintenance plus replacing the spark plugs, inspecting the brake linings, the CV Joints, exhaust system, front suspension, tie rod ends and boot seals for cracks or leaks and all parts for damage, wear, improper looseness or end play and to do necessary repairs or replacements based on those inspections. 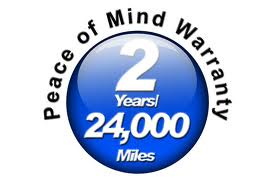 There are procedures and checks that your car needs at varying intervals as your vehicle ages. 20K, 30k, 40k and so on. Depending on your car’s manufacturer, these procedures and inspections will probably differ slightly in the timing of the scheduled intervals for the maintenance but none the less, in order to properly maintain your auto, they must be done. If you are purchasing a used car, it is a good idea to have it inspected either before or immediately after the sale. JK Automotive can inspect the vehicle and give you some recommendations on what kind of schedule service is due or needed in the future. 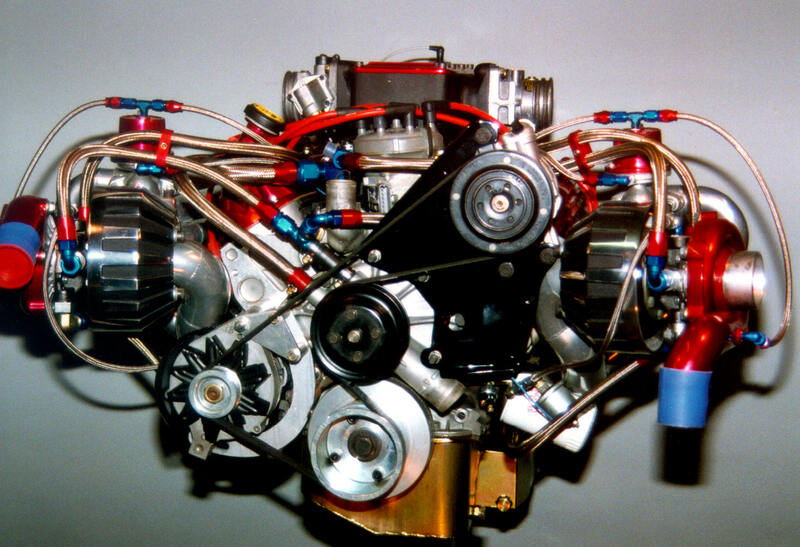 Once your car starts getting some miles on it, say around 80,000 to 100,000 miles, it may need the timing belt and water pump replaced if equipped. The transmission fluid and filter may need servicing around the same time. The important thing to remember is don’t wait until your car or truck starts making a funny noise, vibration, or a funny light comes on the instrument cluster that you have never seen before bringing it in to the shop. By bringing it in for regular maintenance services, you can save a lot of time and money just by having it inspected and serviced on a timely basis. Troubleshooting your auto air conditioning problem can be confusing if you don’t understand the process of your car’s air condition system. 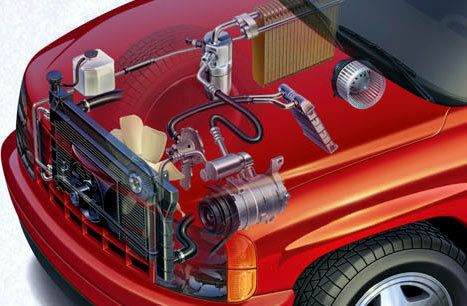 The most common cause of auto air conditioning problems is that the Freon in the system has leaked out. Your freon can escape through a leaky compressor or O-ring seal or you might have a pinhole in the condenser, the evaporator, or maybe just a hose. All automobiles will leak some refrigerant through pores in hoses and the older your car gets the more leakage usually occurs. Newer cars are built with better seals and hoses but because the systems themselves are smaller, it only takes a small amount of refrigerant leakage to notice poor cooling system performance. If this is the problem a simple recharging of the Freon along with repairing or replacing of the part that the Freon is leaking from will do the trick. That being said, there are however, other reasons your car’s air conditioning system isn’t working properly. It could be a blown fuse, a pressure issue, or even an electrical problem. There are many parts to your car’s air conditioning system including: a condenser, compressor, evaporator, hoses, tube connections, seals, and fittings. Any of these could be the culprit. By evaluating and inspecting your auto’s air conditioning system and troubleshooting the problem, we can usually repair the leak, recharge your system, and get your going in the comfort of your air conditioned car once again. So here’s the deal, give us a call at our Summerville auto repair shop and we’ll get you in ASAP to diagnose and repair your car’s air conditioning system while you relax in the comfort of our auto repair shop’s air conditioned waiting area. You can enjoy one of our specialty beverages, watch a little TV on our flat screen, or make use of the time with our free wi-fi service, while we get the work done and get you back on the road. Call us today at 843-851-2800. We’ll be ready to get you back on the road in cool comfort. P.S. 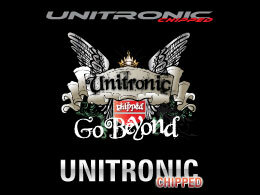 Make sure to join “like” us over on our Facebook page and take advantage of special offers we post there from time to time. You can find our Facebook Page here. Recently a customer asked me some questions about CV Joints. It’s easy for those of us in the auto industry to take a lot of things that we know for granted and I am always willing to explain something to my customer if they are interested in knowing more about the workings of their car. Today’s questions are about CV Sharts, Axles, Boots & Joints. 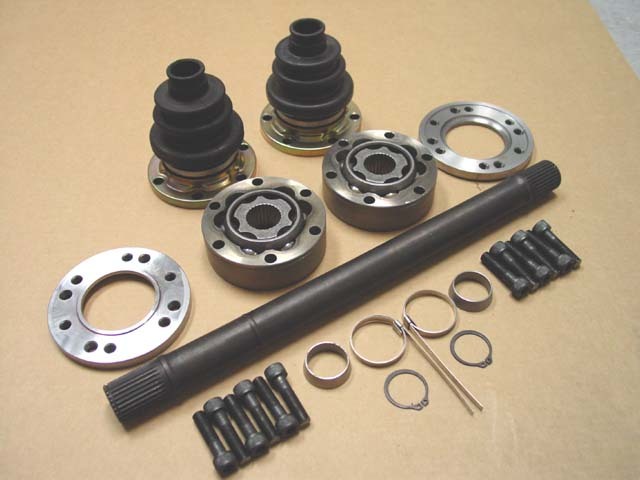 CV or constant velocity joints are used on vehicles to connect the transmission or differential to the wheels of the car. If your car is front-wheel drive or rear-wheel drive, their are usually two CV axles on the car. If your car is four-wheel drive or all-wheel drive, their are usually four CV axles on the car. What do CV Joints Boots Shafts do? What is the purpose of this part of my car? CV Axles distribute the power from the engine and transmission to drive the wheels of the car. What are the symptoms of CV Joint trouble? The symptoms of a bad CV Joint can be a clicking noise while driving the vehicle around corners, or it can be a vibration felt throughout the whole car while driving. Some times customers complain of a burning smell, and this can happen when a CV joint boot breaks and the grease gets on the hot exhaust or brake system and burns. If a CV Joint fails completly, you can be stranded on the side of the road because the car will no longer be driveable. What can I do to maintain my CV Joints? Do you have any tips? The best way to maintain your CV joints is have them inspected on a regular basis. Ask your technician to take a look at them at every oil change or service. CV joint are usually not serviceable, unless your technician finds a small tear in the boot early enough and can install a CV boot repair kit. If they are bad, most often replacement is necessary and because they are usually inexpensive it makes sense to replace the whole CV axle. If you live or work in the Summerville, SC area, bring your car in for an oil change and we’ll inspect your CV system to see if we notice any wear on your vehicle. Just give us a call at 851-2800 and schedule an appointment today. We look forward to serving you. Let’s talk about brakes. I want you to know everything you need to know about your car’s brake system to help keep you and your family safe. Plus, brake repair cost is much lower if you maintain your brakes properly. It’s an important topic because your car’s brake system is a complex grouping of parts which serve a critical role in keeping you safe. No other system in your car is as important for your own as well as your family’s safety. 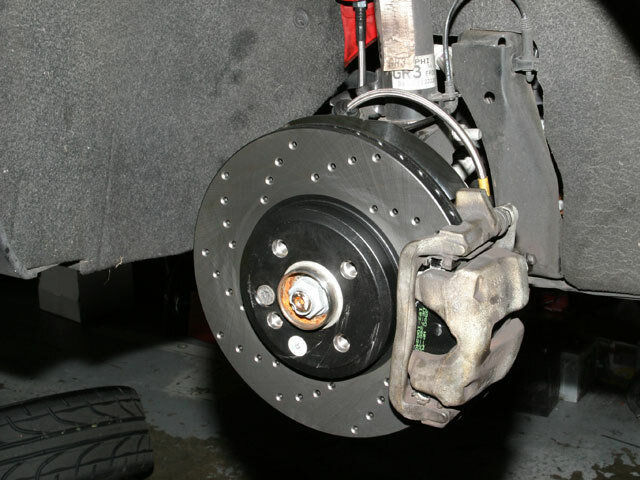 Keeping your brake system in tip-top shape should be your top priority. I’m going to attempt to explain how everything works from the brake pedal on down to the braking system in easy to understand terms that I hope will make sense to you. The Brake Pedal. This is a strong steel lever which transmits the force from your foot to the master cylinder. The pedal typically has a switch attached to it, to turn on your brake lights when you press the pedal down. Here’s what happens. When you push down on the brake pedal, the master cylinder is pushed via a push rod. The master cylinder consists of a piston and a fluid reservoir. When the piston is moved, it pushes the brake fluid through the brake lines and into the “brake calipers” or “wheel cylinder”. Most all cars today have disc brakes on the front wheels, and many have disc brakes on the rear also. When disc brakes are not what’s on the car, you’ve probably got drum brakes. The fluid being pushed from the master cylinder through the brake lines pushes a piston in the brake caliper. This in turn applies force to the brake pads. The brake pads are typically made from a hard organic or metallic compound. You can imagine the kind of heat friction that builds up when force is applied to the brakes so it makes sense that they are made to survive under high heat and pressure. When the brake pads contact the rotor, there is friction and heat is created. This is how your car stops, by turning the rotating energy of your wheels into heat through friction. The last part of your braking system is what are known as the rotors. Brake rotors are typically made from cast iron and are made heavy enough to dissipate heat and not warp over time. Unfortunately, in today’s cars, many of the rotors are not large enough, and can warp within a just a few thousand miles. The rotor is bolted between the wheel and the spindle, and rotates at the same speed as the wheels. Cars are built better than ever these days and give us miles of service. Keeping you car healthy is important and extends it’s life. Oil is the lifeblood of your vehicle. Dirty oil makes it harder for your engine to turn over and causes premature engine wear. Belts and hoses are made of a very durable material with relatively long lives but they do deteriorate over tiem. We recomend a four year replacement cycle. Leaks, are not normal except for condensation from your air condition. Rebuilding or repairing a classic car takes time and patience. Many of todays auto technicians don’t even know where to start when a 40 year old bolt breaks off and now they have an exhaust, coolant or oil leak. 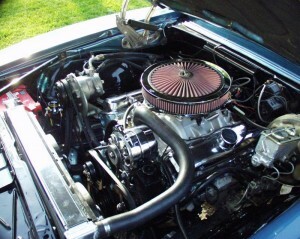 JK Automotive will take the time and be patient when you bring your classic car in for repairs. JK Automotive wants to help you keep your car running at it’s optimal best and there are several things you can do to keep it running like new, make your car last longer, and keep you off the side of the road! Having your oil changed every 3,000 miles or according to your vehicle’s owner’s manual is mandatory for keeping your engine working like it should. Some newer cars seem to allow more miles between oil changes but be sure to check your owners manual for specific instructions and your car’s maintenance schedule. If you use synthetic oil it is believed to lubricate the engine more efficiently because it breaks down at a slower rate. Synthetic oil made by Castrol, Chevron, Mobil, Havoline, etc can be found easily at your local auto parts or even super-mart store. Be sure to change your oil filter every time you change your oil. Having fresh oil and a gummed up filter won’t do you or your car any good.